Former Africville residents and descendants are continuing to push for a class-action lawsuit that was initially rejected in 2016. 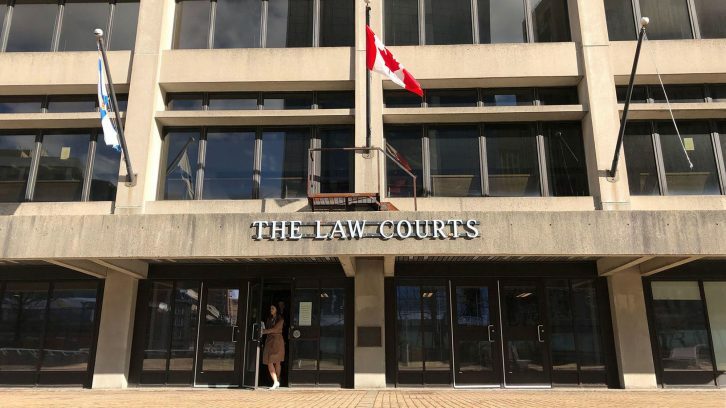 Lawyers for the plaintiffs and the former City of Halifax were in Nova Scotia Supreme Court on Thursday to revisit the proposed lawsuit led by Nelson Carvery, a former Africville resident. Carvery’s lawyer, Robert Pineo, is amending the original statement of claim to include more plaintiffs. Carvery was not in court and his lawyer appeared via phone call. The plaintiffs are seeking compensation for the expropriation of Africville in the 1960s. Africville was an African-Canadian village located next to the Bedford Basin. For generations, people fished and farmed on the land. It was demolished by the City of Halifax to be turned into industrial land. Houses were destroyed, in some cases without knowledge or permission of residents. An action and statement of claim was filed by 129 plaintiffs for the first time in 1996 by the African Genealogy Society against the City of Halifax. In 2010, the Halifax Regional Municipality issued an apology and gave $3 million to rebuild the Seaview African United Baptist Church, which was rebuilt as the Africville Museum in 2012. There was no personal compensation given to former residents or descendants. Carvery said they are not satisfied with the church museum. “It doesn’t seem to belong to us. It looks like our church, but it’s not our church,” said Carvery. In November 2016, Supreme Court Justice Patrick Duncan denied the plaintiff’s original application for a class-action suit, saying it failed to satisfy the Class Proceedings Act. Specifically, the application didn’t raise common issues between at least two people. Duncan said lawyers could try to bring the suit forward again. Pineo couldn’t be reached for comment, while Karen MacDonald, lawyer for the former City of Halifax, declined to comment on the municipality’s position. Pineo is scheduled to make amendments to the statement of claim by March 15. The matter is due in court on April 11 for a motion hearing.